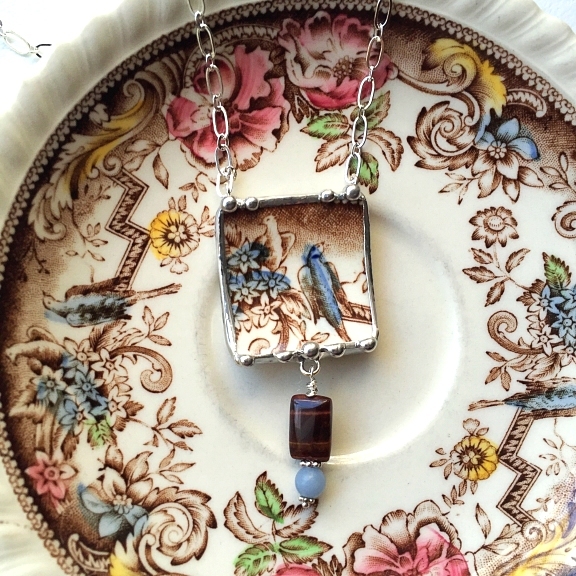 Dishfunctional Designs: New Broken China Jewelry In My Etsy Shop! 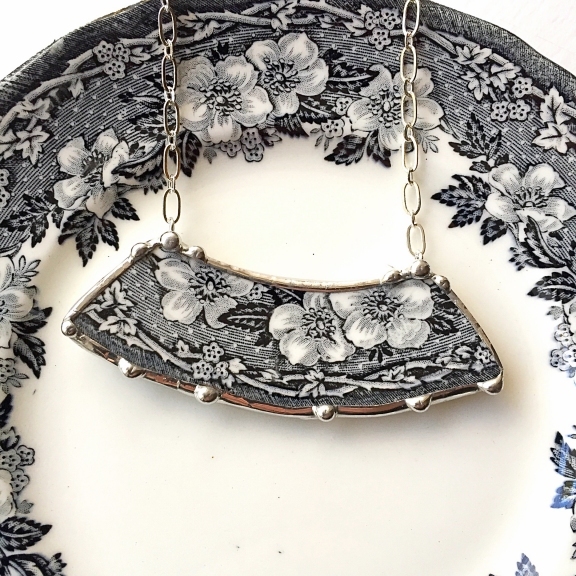 New Broken China Jewelry In My Etsy Shop! 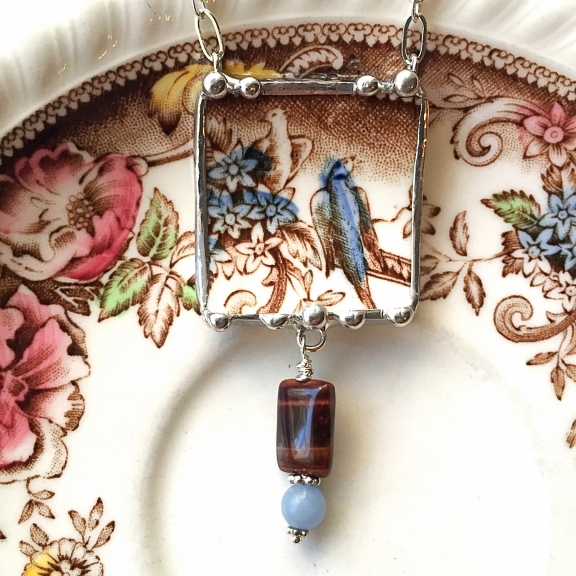 I love this china pattern...there are so many different and colorful things going on that it makes for some great jewelry makin'! The beads are perfect - the blue is Angelite (aka Anhydrate) and those of you who are familiar with gem and crystal lore probably know that its metaphysical use is to contact angels! It's also said to promote serenity. The darker bead is Red Tiger's Eye - yes, red. I love the red! And like it's brown variety, it has a little bit of flash and is said to aid in willpower and stability. This bead was hard to photograph and is a bit brighter in person. 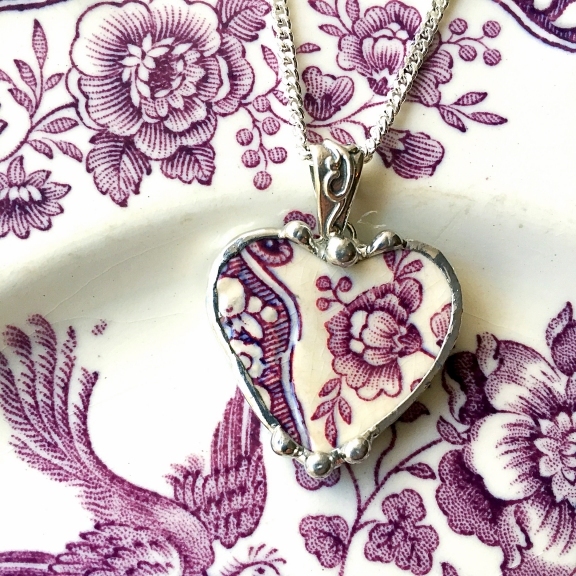 Plum, mulberry, purple - whatever you chose to call the color of this English transferware, it's beautiful. 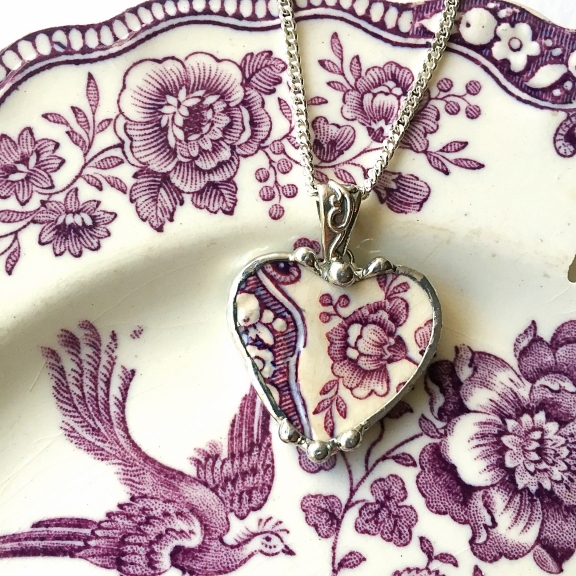 How many times you see antique purple dishes? Not often. I love this rare beauty. This is another amazing china pattern. Again, this is antique, and just so rare and unusual. 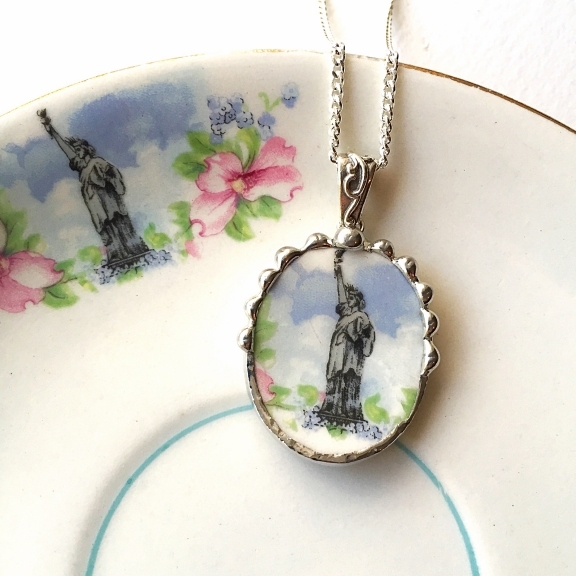 I love patriotic and American historical antiques, so when I found these damaged Statue Of Liberty dishes I was all over them, as you could imagine! 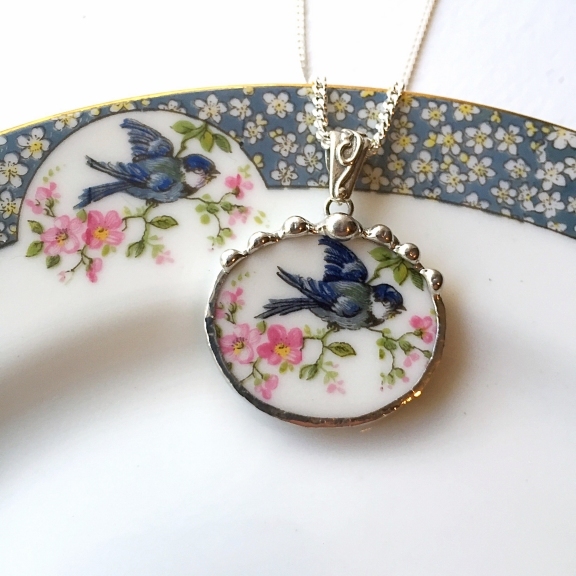 We love our little birds! 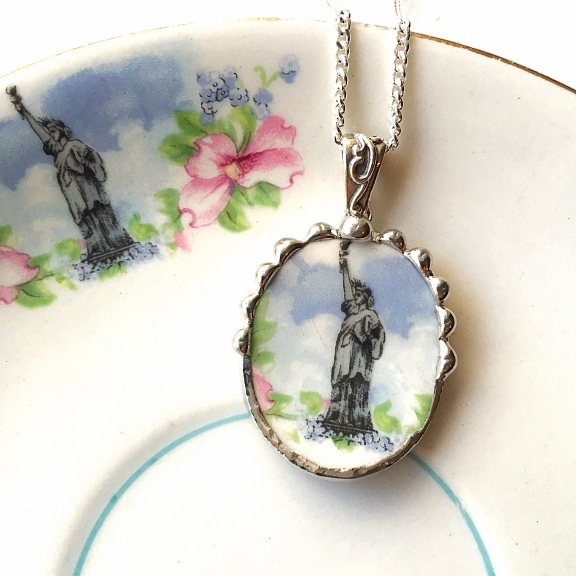 This is antique porcelain. Super-hard to cut and work with, these finished pieces often cost a little bit more just due to the time consuming work and wear and tear that porcelain has on my tools. 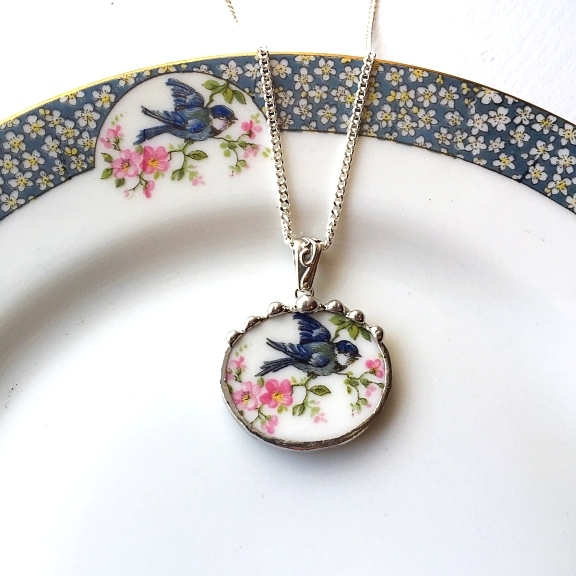 Bluebird china is also hard to come by, as it is extremely collectible and coveted by collectors. Hurry up spring! This is probably another one of my all time favorites. 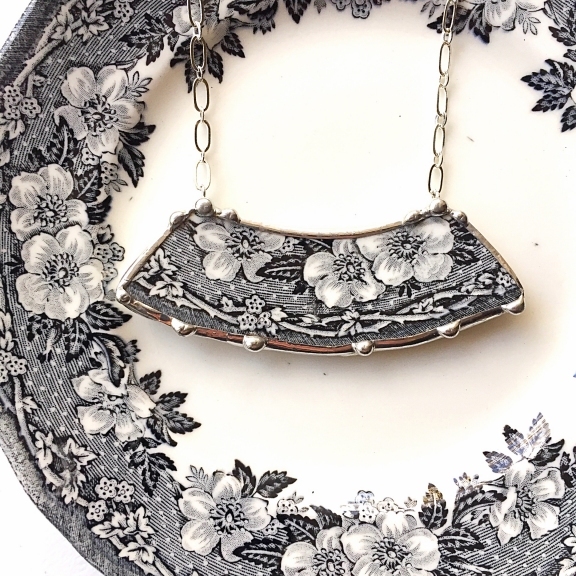 The Black and white is just beautifully classic, and when you really take a close look at the transfer (again, this is antique English transferware) the detail of the pattern's engraving is amazing. 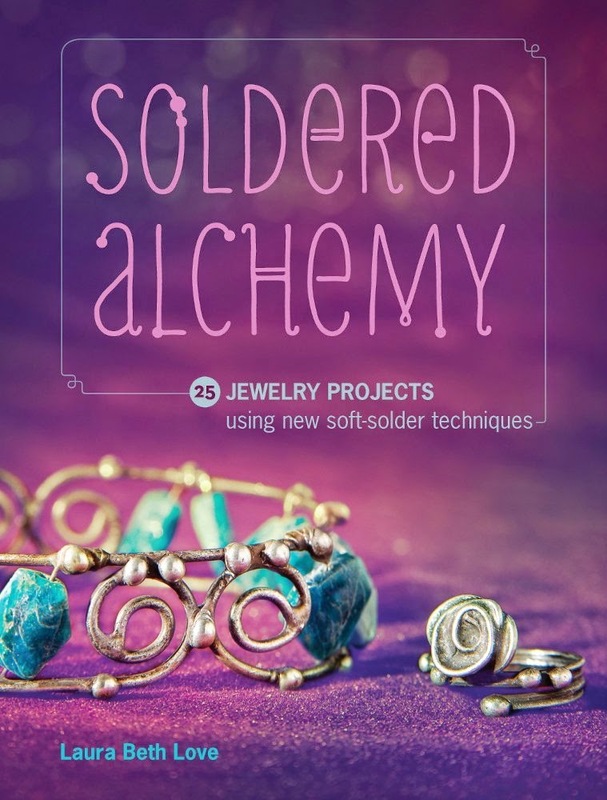 This is one of those showpiece necklaces that makes everyone take a second look. It really is just stunning.